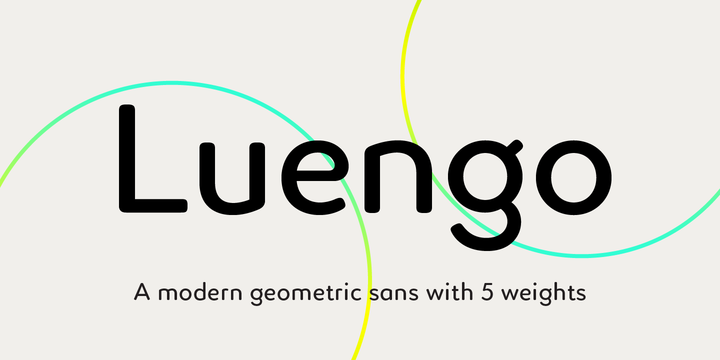 Luengo is a geometric sans-serif typeface created by Rebecca Hurst and published by The Northern Block Ltd. that is available in 5 weights (from UltraLight to ExtraBold), Alternate characters and full European character set. With a natural look and an elegant touch, Luengo works great for haedline, display, logo etc. Note: Luengo is a trademark of The Northern Block Ltd..
A font description published on Friday, May 1st, 2015 in Fonts, Rebecca Hurst, The Northern Block by Alexandra that has 4,401 views.